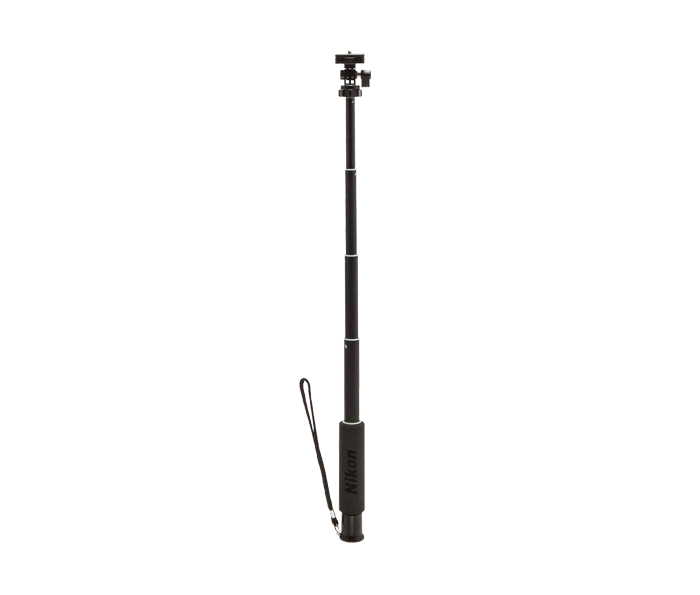 The N-MP001 is an Extension Arm, which when attached to compatible cameras, allows you to conveniently and easily take "Selfies" or self-portrait photos. When collapsed, it is 7.28 inches in length, and when fully extended, it is 28.54 inches in length. It connects to the tripod socket of compatible Nikon cameras and also features a tripod socket at the bottom of the handle for versatility. The N-MP001 features a foam grip for comfort and a hand strap for easy carrying when not in use. A fixed pan-head allows you to easily change the position of the camera when it is attached to the Extension Arm. The N-MP001 weighs only .41 lbs. and can carry a camera with a weight of .88 lbs.